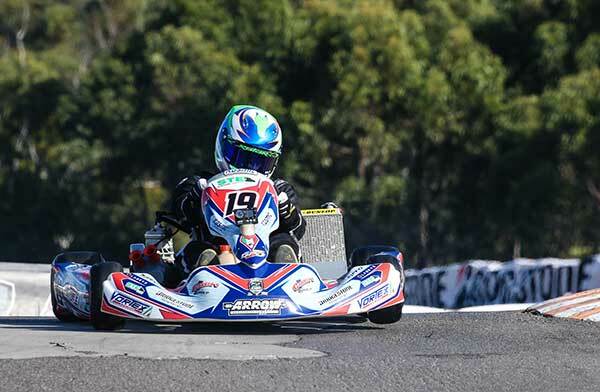 Broc Feeney has emerged as a shock contender for his second consecutive Australian Kart Championship as the Paul Feeney Group Race Team heads to Port Melbourne for the final round of the SP Tools Australian Kart Championship. Feeney has been elevated to second on the pointscore in the KA1 category after post-event penalties were applied to another competitor after the last event. He enters the final round just 29 points behind the current Championship leader and should he win the Championship, he will become the first driver since Neil McFadyen in 2000 to win elite Junior and Senior Championships in consecutive years. There are four drivers in with a shot at winning that Championship. 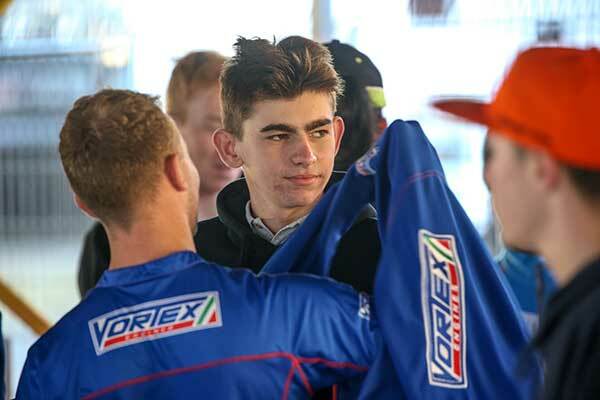 15-year-old Feeney tasted success in the Toyota 86 Racing Series last weekend at The Bend Motorsport Park in South Australia, winning his first ever car race. “It was an amazing weekend at The Bend, to get my first car victory was an unbelievable achievement, but now we have to focus on heading to Todd Road and the KA1 Australian Championship,” said Feeney. “To come into the frame for the Title was a surprise but we will do everything in our power now we have that chance. “I was able to wrap up the Junior Title in Melbourne last year and know the circuit extremely well. “It would be a great achievement to become the first driver since Neil McFadyen to wrap up the premier Junior and Senior Titles in consecutive years. Paul Feeney Group Race Team’s junior driver, Connor Roberts is pressing for the top 20 in the Australian KA2 Junior Championship. It has been a tough initiation to his rookie season in the elite Junior Title, however his improvements across the season have been impressive and he has been building towards a strong finish to the season. Action in Melbourne gets underway on Friday with official practice before Qualifying and heat racing Saturday and then Finals on Sunday.